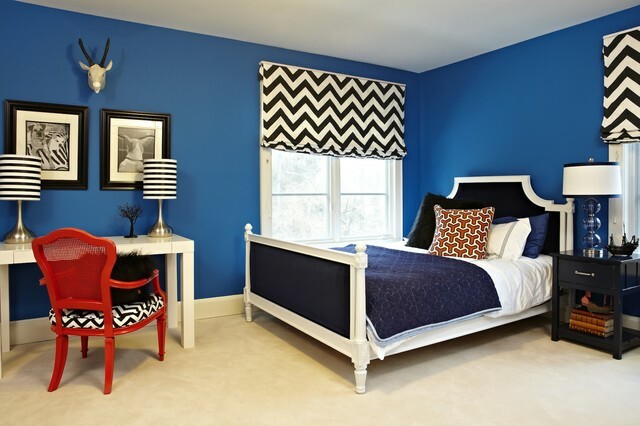 Blue shades, ranging from indigo to aqua, were really popular in 2013 but they still look awesome today. 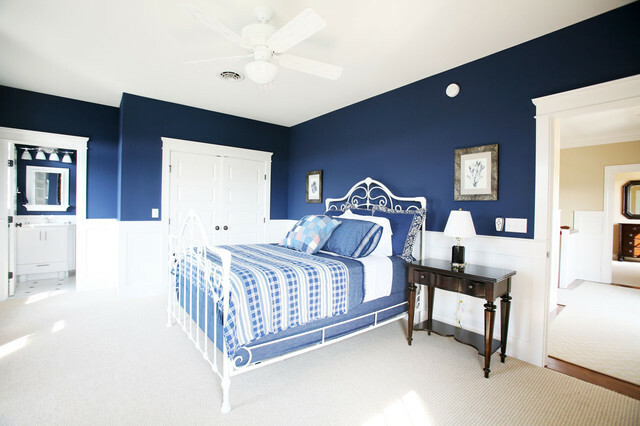 Interior designers normally use this color because of the fact that it represents stability, authority, conservatism, serenity, calmness, honesty, loyalty and wisdom. 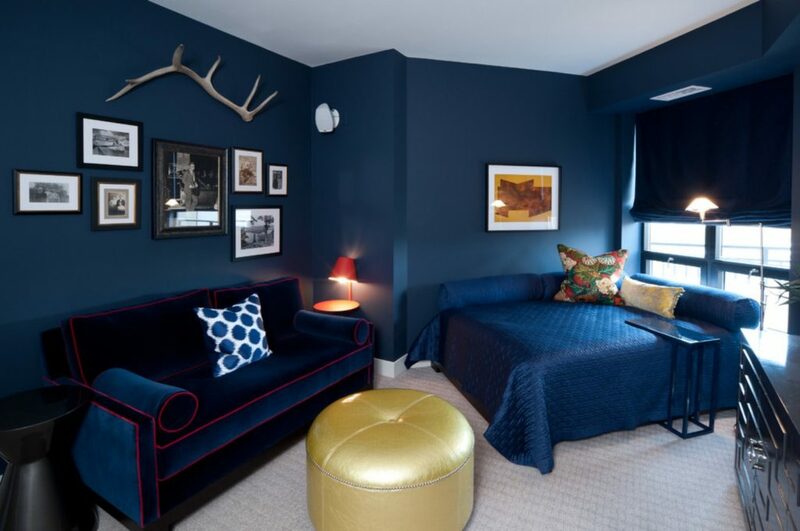 Its authority look makes it the go-to color for uniforms but in bedroom interior design, we do simply love dark blue. 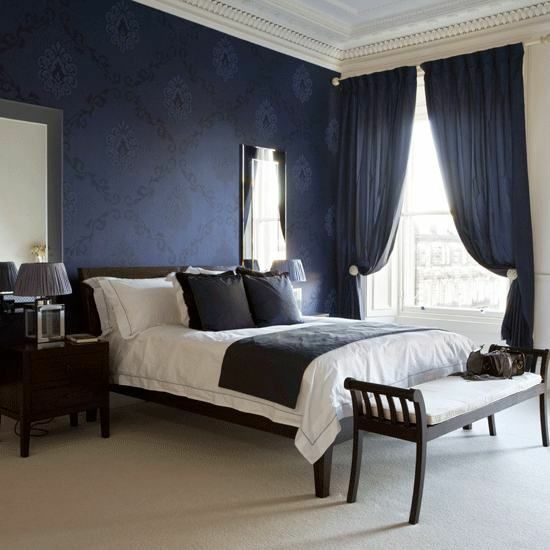 Dark blue is wonderful in a bedroom because of the fact that it evokes a deep serenity and calmness. European trends see exteriors, fences, staircases, doors and cupolas often painted in blue with the purpose of protecting the home from evil. We even saw a custom in Poland that women ready to get married had homes painted in blue. 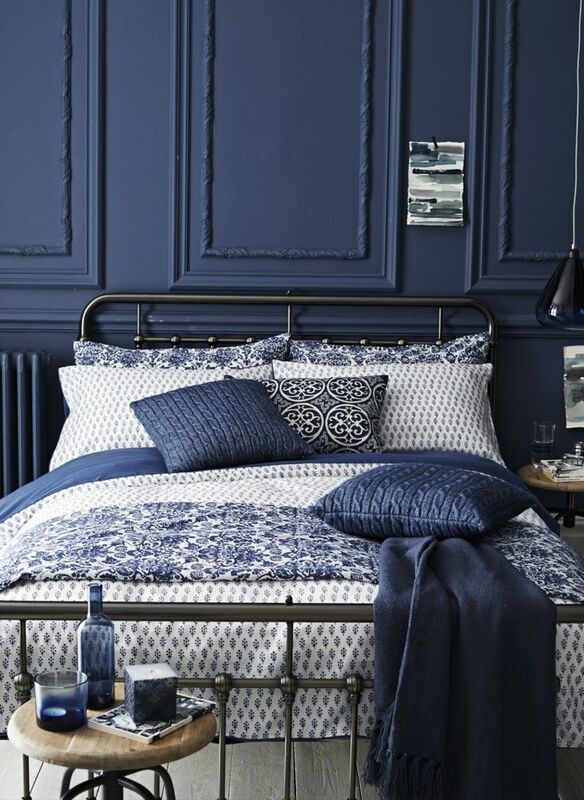 Today we focus on dark blue bedrooms and highlight some ideas that you will most likely love. 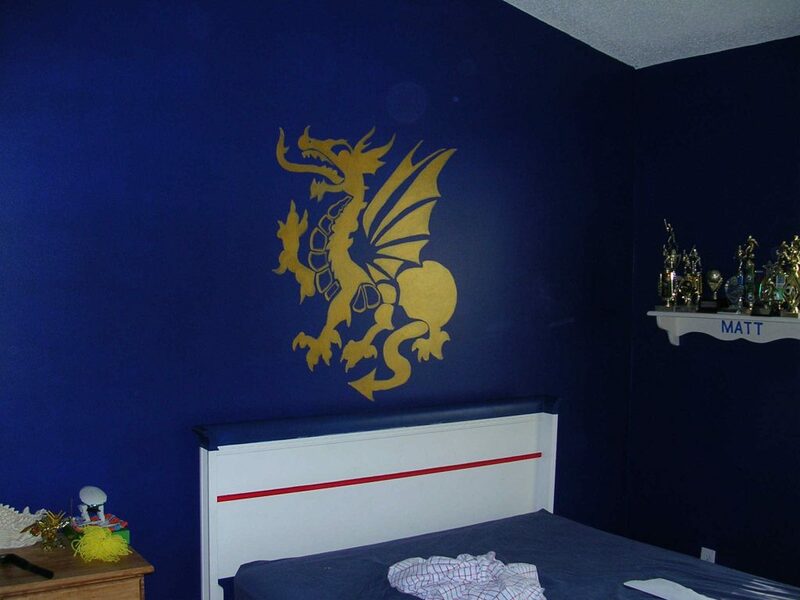 Just a little dragon logo makes the difference. Adding some white and black patterns can create a great contrast. Do you have many pictures that you want to frame? We always need light, no? 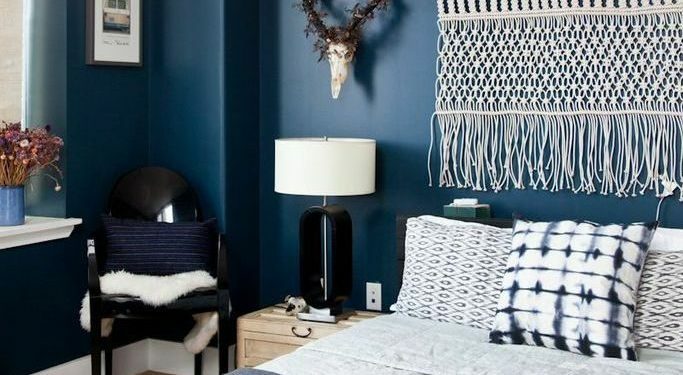 More of a combination of colors with dark blue walls. 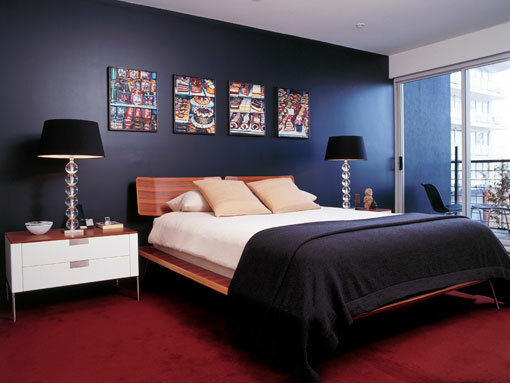 It is an idea for many that do not necessarily like the addition of too much blue. Sometimes you want to add more white. Everything is in the details! Quite simple, symmetrical and relaxing. 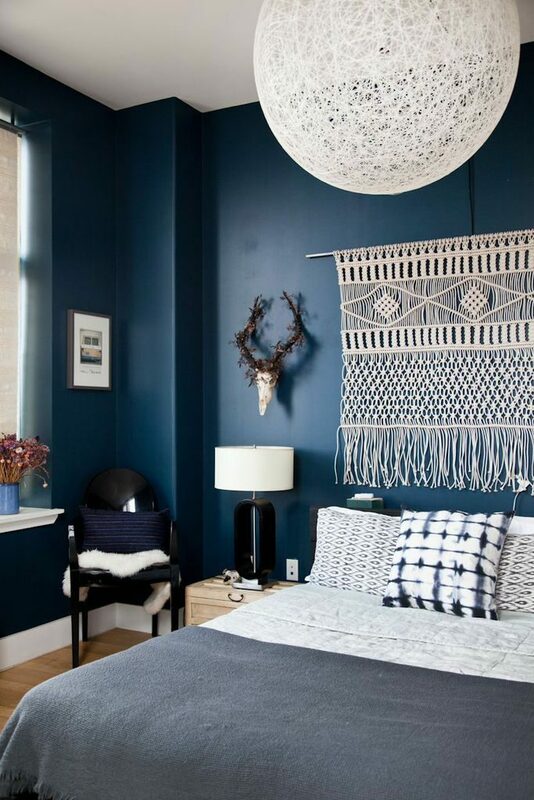 Older architecture rooms can still look great with dark blue. This is something that many do not consider but you might want to change your mind. Do you also want to add a couch to your bedroom? Add more dark blue!